Ninh Bình – a charming and scenic land that has witnessed many remarkable feats by our ancestors as well as preserved magnificent architecture works until today. This is a sacred land of extraordinary people alongside with Trang An Scenic Landscape Complex making it a romantic destination, capturing the beauty and charm of the nature. 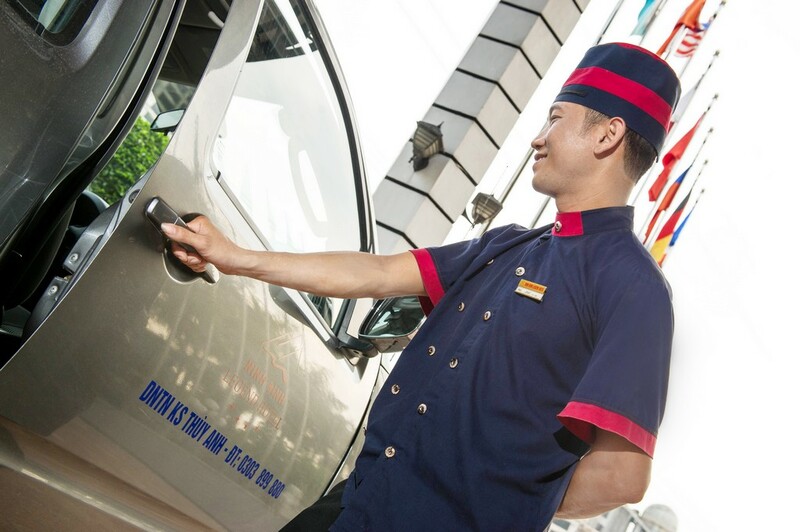 For your convenience during your business trips and vacations, Ninh Binh Legend Hotel offers high-quality pick-up and drop-off service at Noi Bai airport. Ninh Binh Legend is well-known for its warm hospitability. Our Research Team attentively foresees every needs of customers as well as their personal wishes and interests. That is why we are convinced to be able to meet all of your needs from the check-in to the check-out. We sincerely hope you can enjoy the most out of your stay. Should there be anything else we can do, it is our utmost pleasure if you can share with us. Este hotel hizo que nuestra estancia en Ninh Binh fuese aún mejor de lo que era. El personal, tanto el encargado “ Ha” como el dueño del hotel, y demás trabajadores se esforzaron por que nuestras estancia allí fuese excelente. El hotel no es céntrico pero estaba muy cerca y desde el hotel nos gestionaron todo para que siempre tuviésemos un chofer esperando en la puerta. Es un hotel de lujo con un precio muy económico. I have to go to Ninh Binh 2 or 3 times every month for business and Ninh Binh Legend has always been the place that I chose. The room is huge with kingsize bed and flat Screen TV, I’ve always liked the luxury exterior and interior design of the hotel. The ambience of the hotel is excellent with jazzy vibes. The breakfast buffet has a wide range of choices that anyone can pick what they like, at the same time the service quality is impeccable. The staff were really attentive and friendly, and I have to admit this is one of the few 4-star hotels that has staff speaking English so fluently as well as French. Grande chambre spacieuse avec lit king et très bien équipée. Grande douche et bain, produits de toilette raffinés, robe de chambre, tongs, nécessaire à café, télé et wifi. Petit déjeuner offrant un grand choix et personnel très attentionné. My girlfriend and I stayed at Ninh Binh Legend Hotel for 2 nights and enjoyed a lot our vacations in this region of Vietnam. The room is huge and very clean with a super comfortable bed. The breakfast offers a large selection of food, including bread, noodle, fried rice, soups and salads. The swimming pool is is very nice, a perfect area to relax after a day tour exploring Ninh Binh. Also, if you can, get a professional massage therapy in this hotel. Totally worth it. The staff is very friendly and helpful. We would like to stay again in this wonderful hotel if we ever have a chance. 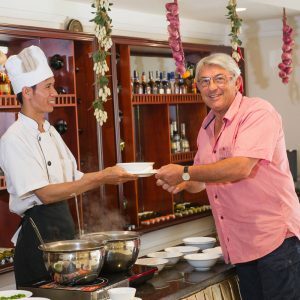 Da das Hotel etwas außerhalb liegt, ist man gezwungen, im Hotel zu essen. Das Essen ist durchschnittlich und ziemlich teuer. Leider war das Personal an unserem einzigen Abend nicht allzu freundlich. Die rühmliche Ausnahme bildete der Manager, der sich wirklich sehr bemüht hat. Die Zimmer waren sauber und in Ordnung. Отель слегка на отшибе. До города далековато, вокруг нет особенно интересных мест, но пытливый путешественник найдет места для прогулки. Тем не менее, внутри все приятно и хорошо. Ужин вполне приличный. Номера чистые. Претензий нет.